Add a splash of panache with a platinum pendant chain. The perfect compliment to any outfit, a platinum pendant chain combines artisan craftsmanship, beautiful detail, and the everlasting quality of platinum. Platinum .9mm box chain. The box chain is a great pendant chain. Price shown is for the 16" length that weighs about 3.8 grams. Additional lengths include an 18 inch and 20 inch. Platinum 1.2mm box chain. The box chain is a great pendant chain, very nice size. Price shown is for the 16" length that weighs about 5.4 grams. 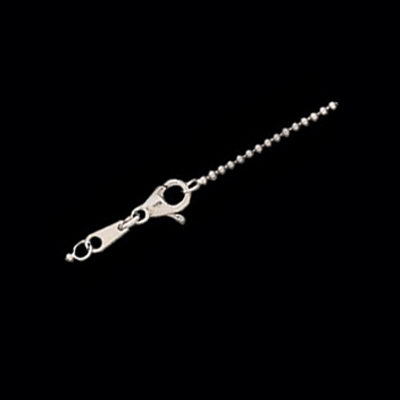 Additional lengths include an 18 inch, 20 inch, and longer 24" selection. Platinum 1mm Wheat Chain available in 16 and an 18 inch length. A Wonderful chain for your pendant or just to wear alone. 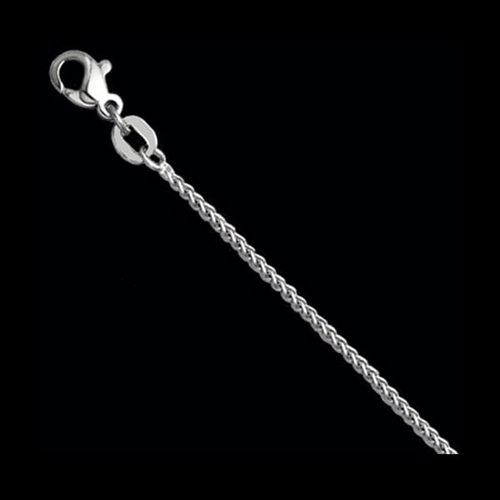 Use our special request for pricing on this chain in any length. With a white gleam that never fades, platinum combines glamour with a subtle elegance. This precious metal lends a royal and sophisticated spark to every attire and occasion. Worn as it is or with a gemstone or platinum pendant, Gracious Rose's platinum pendant chains will give your everyday outfit or evening wear gorgeous charm. For men's jewellery, less is more. A plain, platinum chain necklace is the classic accent piece that exudes gallantness—bold yet gentle. It provides a sleek match to any ensemble, particularly paired with a watch or a platinum bracelet. If you're looking for a perfect gift to spoil your man, you may want to pair it with a minimalist cross pendant or a modest tag pendant. 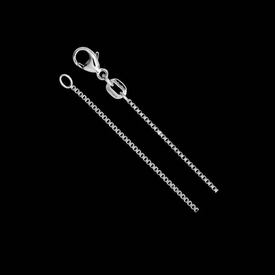 Gracious Rose's platinum pendant chains handcrafted from the finest material to give any man the polished look women admire for a reasonable price. If you're unsure of what to buy, our certified jewellery consultants are there to help you. Nothing beats genuine, fine-quality jewellery. Gracious Rose's platinum pendant chains combine simplicity with sophistication—a look that works anytime, any day. Platinum's timeless shine complements any color and style of outfit. You can show it off alone with a plain white t-shirt or dangle a stunning gemstone in it; either way it's bound to stand out. Enjoy the luxury of a safe and convenient jewellery online shopping experience with Gracious Rose. Our jewellery consultants can help you choose from over 3,500 custom pieces and sophisticated designs to get the stunning jewellery you have always dreamed of. Gracious Rose jewelry is a perfect gift for weddings, anniversaries, or any occasion you want to make someone feel special. Platinum pendant chains are ideal combined with other sophisticated pieces from our extensive collection such as our platinum and gemstone pendants. You can now get any piece of jewellery delivered to your home in 3-14 days with our free shipping on orders of $250. If you need custom engraving, overnight deliveries, or other options not highlighted in the product description, you may place a special order. Stand out with platinum's timeless beauty. Flaunt your favorite precious gemstone pendant with Gracious Rose's Platinum Pendant Chain. Order online and get yours now!